We are very grateful for the monetary donations we receive. Our biggest expense is the transportation of book parcels abroad. Even though we try to find the cheapest routes possible, there are still increasing costs to be met. Your donations help us to meet these costs. There are lots of ways you can donate: online, by text or we will happily accept donations made in person at the Books Abroad office in Rhynie. Please click on the logos below to take you to our online donation platforms. Don’t forget if you are a UK tax paying resident, you can Gift Aid your donation, which means Books Abroad receives more money at no additional cost to you. If you are an organisation, community group or a school making a donation please contact us and we will happily feature your efforts on our website and in our newsletter. 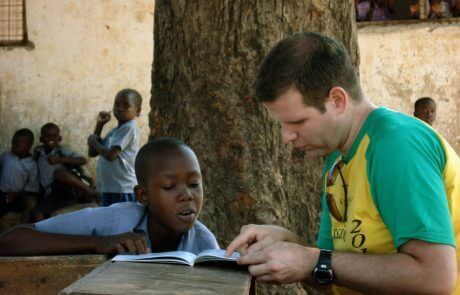 Books Abroad depends heavily on support from friends and volunteers to further the cause for literacy in developing countries. By becoming a member of Books Abroad, you are pledging continued support to the work we do. In return, as a member you will receive regular newsletter updates on all our projects and activities, invitations to attend special member events and also the Books Abroad AGM and copies of our annual report. To become a member, please contact us. Books Abroad’s work relies on the support of our passionate and dedicated volunteers, who are the heart of our operations. If you are looking for a new challenge and want to meet a new group of people while supporting a worthwhile cause, we would be delighted to welcome you as part of our team. Join us at our base in Rhynie, where you can assist Books Abroad by sorting, selecting, listing and packing books to support our projects abroad. Our main volunteering days are Mondays and Wednesdays and any offer of help would be appreciated. For further information please contact us or pop in for a visit during our opening hours. We also welcome support at our various fundraising events, such as coffee mornings, silent auctions, meet the author events, book stalls etc, which take place throughout Aberdeenshire. For more information on forthcoming events and to volunteer your support, please contact us. Join us on our next mission abroad for an exclusive itinerary in the area and its attractions, whilst gaining a unique insight into the lives of the people supported by our projects. You will get the opportunity to challenge yourself in teaching a class or helping out with the students in one of the local schools. 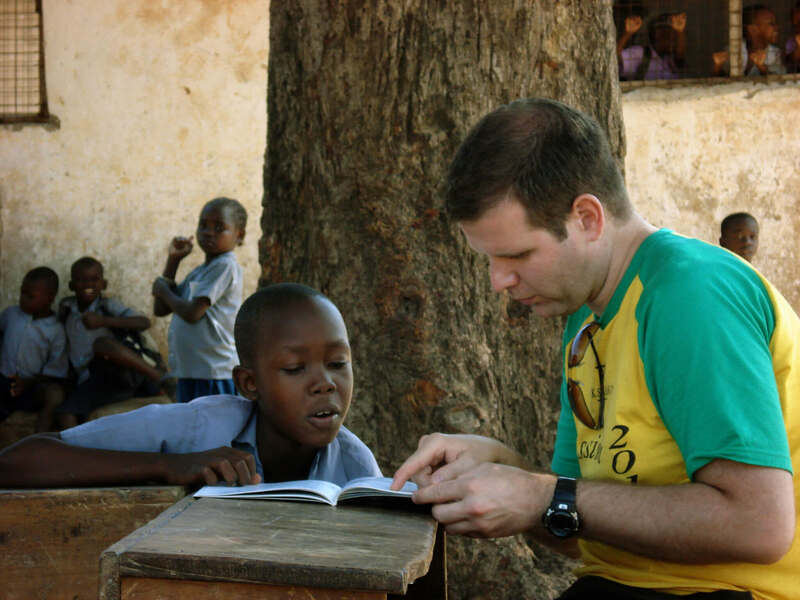 Gain first-hand experience of the work of Books Abroad and how this impacts the lives of the children and young adults in these developing communities. Books Abroad provides an excellent platform for school activity linked directly to Curriculum for Excellence (CfE). Teachers can invite a speaker from Books Abroad to talk to a class about the charity and to show photographs of some of the visits to the countries and projects supported, sparking further involvement by pupils in various ways. There are many schools which have involvement and have drawn up programmes of work showing how they have linked with the charity and a developing country to ensure pupils of all age ranges become competent in the skills and knowledge required in their curriculum. These examples of good practice can be shared. A school visit can be planned to the Books Abroad headquarters in Rhynie, Aberdeenshire. Here pupils can see first-hand how the system works from used books arriving to sorting, selecting, parcelling and dispatching book parcels. This can be the catalyst for pupils developing their own enterprise which involves recycling of used resources. It can also support business management studies as the organisational operations can be detailed. Pupils can continue to explore the impact of developed countries sending in resources to developing countries and how this can be improved to have even more impact. Teachers can cover several outcomes of CfE by linking with a school abroad and Books Abroad and supporting them through global citizenship activities. Pupils and teachers can become volunteers or members and begin a long association with a charity which has been successful for 35 years and which is evolving to meet current needs. They can even join us on one of our annual planned visits to a developing country to meet the recipients of our books parcels – a life changing experience! Our Schools Liaison work continues in local schools, offering assemblies and talks on the Developing World to school children, as a result of which we receive donations of books and money. Let us work together to provide books and educational materials to help people worldwide who lack literacy skills. Your group can help by volunteering time and expertise, providing financial support or simply helping to build awareness of Books Abroad and our mission. If your group already has a project in a developing country we can help identify schools institutions and provide all the information. We would manage book collection, selection, dispatch, process evaluation as well as gathering feedback from the receiving institutions. Please contact us if you are a Rotary Club or Trust Organisation. We are all here to help each other!